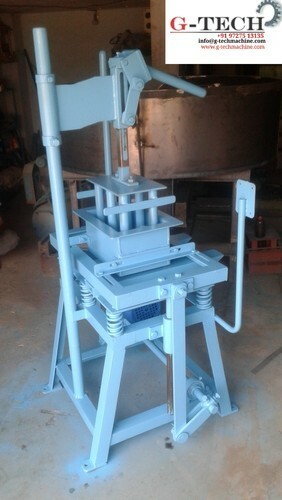 G-tech Machine is a renowned Sole Proprietorship organization and betrothed in manufacturing and Export a qualitative range of Bricks Machine, Mixer Machine, Viberator Table, Pallet Truck, Paver Block Machine and Mould Machine. When we started our organization, we have constructed a wide infrastructural unit that is situated at Morvi (Gujarat, India) and helps us to make world class collection of modular products as per the global set standards. Under the headship of our mentor “Mr. Pankaj Parmar”, we have gained a noteworthy and strong position in this field.